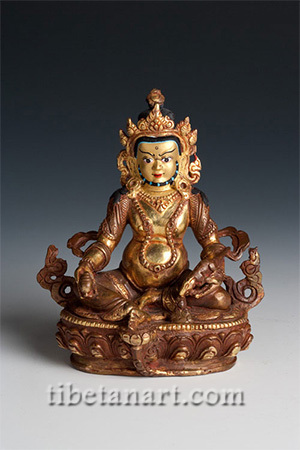 Jambhala, or Dzambala, the wealth-granting deity is an aspect of Chenrezig, Buddha of Compassion. Copper high quality statue with 'cold' gold painted face. 6 inches high.